The Lexus roadshows are part of the outreach programme that aims to introduce the Lexus brand and models to a wider audience. The roadshows will take place at KLCC, Kuala Lumpur, from 1st - 5th September, Sutera Mall, Johor Bharu, from the 21st - 23rd September and Gurney Plaza Mall, Penang, from 27th - 30th September. It will showcase the historical perspective of Lexus as well as an insight into the brand’s success and model line-ups. In line with our commitment to superior customer service, this roadshows will also incorporate some intresting activities to ensure that our guests and their family have a 360 degree experience that is informative yet enjoyable. The philosophy of Lexus has always been centered on the pursuit to perfection where this single underlying factor has always been the driving force for everyone at Lexus. 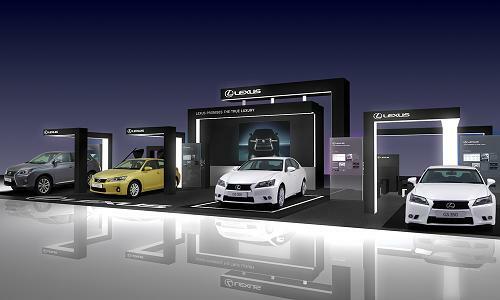 With a global presence in over 60 countries, Lexus belongs to the Toyota Group of motor vehicles. In Malaysia, Lexus was officially launched in 2007 and have been continuously raising the bar on not just the luxury and performance, but also striving to provide the best service that keeps up with the ideal set out in the Lexus Convenant of pursuit of perfection. On display at all three hot-spots nationwide will be the all new Lexus GS, the luxury hybrid model Lexus CT 200h and the new improved Lexus RX. These models are representations of the Lexus’ continuous “Pursuit of Perfection” and will raise the benchmark in terms of refinement in quality, detailing and styling in the luxury market. These Lexus models feature the “spindle grille”, a new design philosophy which is now an identity of establishment and symbolises the future of Lexus. This bold, elegant and highly something is missing individual grille makes the new Lexus GS, the Lexus CT 200h and Lexus RX instantly recognisable as a Lexus at first glance. The grille is part of a new design trademark of Lexus called the ‘L-Finesse’, which will soon be adopted throughout the brand to strengthen the Lexus family identity between model ranges. These models also mark the beginning of the next generation of Lexus vehicles that define the brand’s design direction, incorporating three elements of the L-finesse design philosophy. With the philosophy in mind, Lexus designers and engineers created Lexus models that are bold yet sensitive, cutting edge yet practical, luxurious yet understated and last but not least stylish yet dignified. 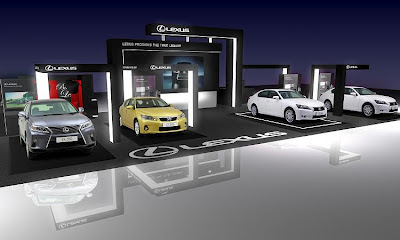 With the display of the new Lexus GS, the Lexus CT 200h and the new improved Lexus RX at the roadshows, Lexus Malaysia is confident it will continue to strengthen its brand presence in this country, and continue to win the hearts of many more customers. For more information about the showcase information, please visit Lexus website www.lexus.com.my or call Lexus Freephone:1800-88-LEXUS (1-800-88- 53987). Today, Astro launched Astro Best to bring its 3.1 million customers/homes the hottest Hollywood and Asian Movies available on both DTH (Direct-To-Home) satellite and IPTV (Internet Protocol Television) platforms. With Astro Best, customers can now watch Hollywood and Asian titles as early as three months after the movies' cinema release and where available in stunning High Definition in the comfort of their homes. Starting today, customers can purchase Astro Best Hollywood titles –“ Marvel’s The Avengers”, “The Hunger Games” and the hit Korean movie chronicling the rise to stardom of several KPop artistes, “I AM: SM Town Live Tour in Madison Square” on Astro Channel 481, at RM10 per movie, available for 48 hours after purchase. Future titles of Astro Best include, “What to Expect When You’re Expecting” and “The Cabin in The Woods”. Customers can purchase Astro Best movies via SMS on Astro Channel 481 at RM10 per movie with up to 12 different viewing times for each movie, giving Astro customers the convenience of watching it anytime within 48-hours upon purchase. Astro is working with international studios like The Walt Disney Company, Lionsgate, Sundance Channel, Animax, Fortune Star, CJ Media and Unitel Classica so that Malaysians can access the studios’ library of Hollywood and Asian titles. Astro Best is a significant milestone in Astro’s partnership with international studios to provide an unmatched value proposition of bringing the hottest cinema titles to your home. By broadening the distribution of movies and allowing an extended viewing period beyond the cinema time frame, we are confident that more international and regional players will join us in delivering a new movie experience to more than 3 million Astro homes. Astro B.yond VOD is Astro's internet delivered video-on-demand (VOD) service, offering hundreds of hours of great TV to choose from - thus giving Astro customers more control and choice over how they enjoy entertainment. Amongst the new titles added to Astro B.yond VOD are exciting box office titles such as “50/50,” “Man On A Ledge” “Abduction,” “Here,” “Teddy Bear” as well as Asian and Bollywood movies such as “Nightmare,” “Ghost On Air” “Ashoka” “Chalte Chalte” “Penny Pinchers” and many more. The title lineup on Catch Up TV includes “Oh My English,” Korean and Chinese dramas such as “City Hunter,” “Palace II,” and “The Other Truth,” as well as Disney favourites such as “Phineas and Ferb” and “Upin and Ipin” with more catch up titles refreshed daily. Selected VOD content is also available online and on mobile via Astro On-The-Go service which is currently free for all customers. This just got in, fresh sourced from Samsung which I had the chance to read up this morning. Check out the details below. I was pretty impressed by the article so let me share it here. As many of you are well aware, Samsung has done a fantastic job of allowing the freedom of creativity and innovation in many of their recent products, including the Samsung Galaxy SIII and the Samsung Galaxy Tab 10.1. 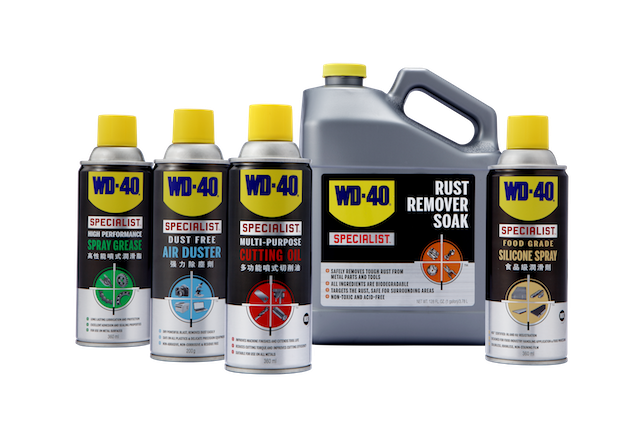 Their latest product is no exception. At the IFA (International Franchise Association) in Berlin today, the technology giant held the Samsung Mobile Unpacked 2012 Press Conference, where the company unveiled several exciting products, the most anticipated of these being the Galaxy Note 2. Referring to the Galaxy Note 2, "Many mobile operators have shown great anticipation, 26 in over 18 countries," said JK Shin, President of IT & Mobile Communications Division at Samsung Electronics. It's safe to say that the device will likely be in high demand and that there will be quite a bit of competition between companies to offer the lowest and most appealing price to consumers. "Samsung’s philosophy is and will always be to provide customers with the best service based on the latest technology and innovations, regardless of any difficulties," stated Shin. “The enhancements begin with the new S Pen.” Enhancements to the S pen include increased pressure sensitivity, better grip, and a rubber tip. "When you write with it, you will be amazed at the precision." The Glaxy Note 2 features a beautiful display, with a 16:9 screen ratio and a 5 by 5 HD AMOLED display to boast an “ unparalleled viewing experience. Although the screen is bigger, the body of the phone is not,” stated Ayme. And the phone is kept light, as it weighs in at only 80 grams. Air View: Gives you a preview of various contents. "Hover S Pen over something, an email for example, and you will see information from that email. In your gallery, you get a very nice display of the pictures in your album without opening it. So you can easily see if the picture you’re looking for is in that album or not." Popup Video: You can watch your video while you’re doing other things, like reading and e-mail'or checking in with friends. And the world let out a big 'hurrah!" The S Pen "allows you to get away from the keyboard and really personalize things." Samsung definitely understands people who love journals and personalization. He then explained that the company has been working closely with an array of developers in order to produce apps optimized for use with the S Pen. "Sketchbook, for example, has all the tools you need to draw, paint and sketch, which are only enhanced by the use of the S Pen." Ayme also mentioned an app called Draw Movie, which seems to have the exact same object as an earlier game, Draw Something, originally made awesome by OMGPOP! and then subsequently purchased and dealt with poorly by social gaming giant Zynga. Hopefully Draw Movie will be more user-friendly and fun to use. The company has also spent a lot of time producing accessories and tools that will support the Galazy Note 2. Premium-grade accessories made specifically for the Galaxy Note 2 include flip covers, protective covers, docking stations and many more. As Ayme concluded the segment on the Galaxy Note 2, he promised that customers who own the Samsung Galaxy SIII, the first Galaxy Note, or the Galaxy Tab 10.1 will receive updates to the latest version of Jelly Bean soon and once that happens, data will be available to be synchronized throughout their Samsung devices. Official Specs:Android Version: 4.1.1 Jelly Bean. Display: 5.5” Super HD AMOLED with 1280×720 Resolution (720p – 16:9). CPU: Samsung’s Exynos4412 @ 1.6GHz. Camera: 8MP (1080p HD)Rear Facing Camera + 1.9MP (720p HD) Front Facing Camera.